Born in Argentina, Amalia Pica is a London-based artist. 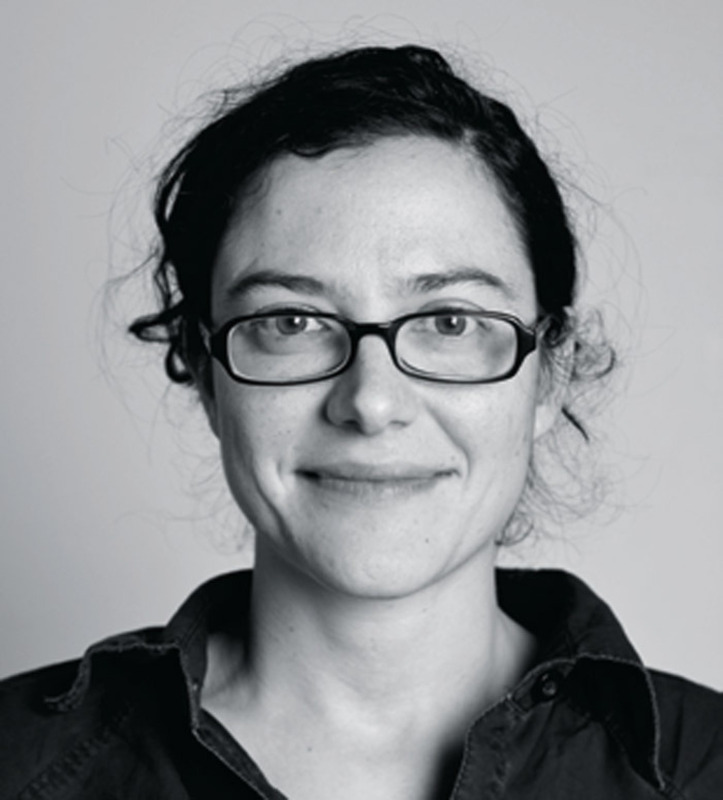 Her work was recently on view in “ILLUMInations” at the Fifty-Fourth Venice Biennale and has been selected for the New Museum’s “Generational” triennial, which opens in New York in 2012. She is currently engaged in a yearlong off-site project for London’s Chisenhale Gallery. is a three-inch-tall aluminum statuette made by Belgian artist Paul Van Hoeydonck. It’s not so much the form of this piece that makes it so special as its location: the Hadley-Apennine landing site on the moon, where it was placed by the crew of Apollo 15 on August 1, 1971. Beside the piece they rested a plaque with the names of eight American astronauts and six Soviet cosmonauts who’d lost their lives in the space race. The installation of Van Hoeydonck’s monument was kept a secret; NASA was informed only after the team had returned to Earth. 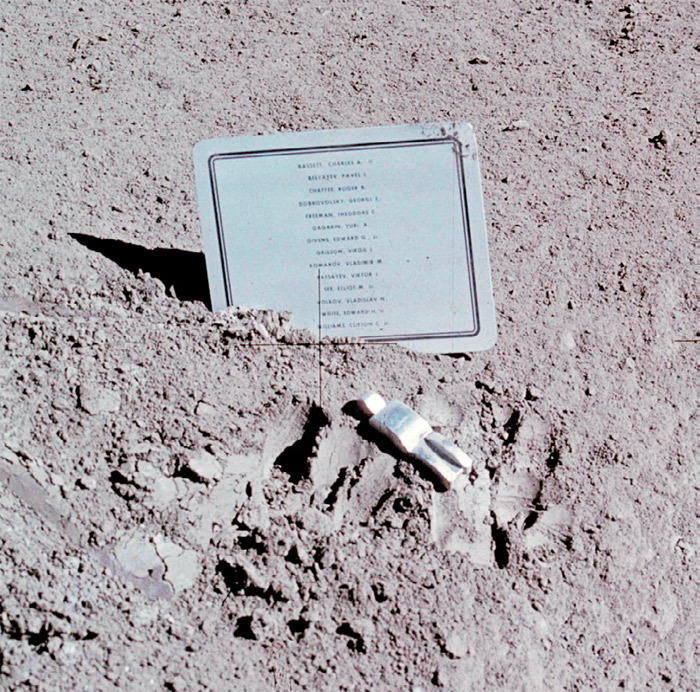 View of Paul Van Hoeydonck, Fallen Astronaut, 1971, and commemorative plaque, Hadley-Apennine lunar landing site, August 1, 1971.
is a comic strip by Argentinean cartoonist Quino titled after its main character: a politically minded little girl who tortures her father with questions about world affairs. Instead of playing with a doll, Mafalda has a globe, but it spends most of the time sick in bed, since its “Africa” hurts. And for a pet, she has a tortoise named Bureaucracy (because it’s slow). Although the cartoon ran from 1964 to 1973 in Argentinean papers, it was republished as a series of ten books (translated into many languages) and continues to captivate the country’s imagination today. Strip from Joaquín Salvador Lavado (Quino)’s Mafalda, 1964–73. Reprinted in Mafalda 1 (Ediciones de la Flor, 2005). Though it’s already on many best-of lists, 2666 only gets better with time. Set between Europe and the Americas, this novel starts with an eclectic group of literary critics in search of a reclusive writer and progresses, over some nine hundred pages, through underwater landscapes and the deserter camps of World War I. Arriving at a Mexican border town (based on Ciudad Juárez), the narrative continues via a forensic account of the unsolved serial killings of hundreds of women; it is against this dark backdrop that the story unfolds. Bolaño died before completing this book; however, a letter from his friend Ignacio Echevarría gives some closure as it points to an uncanny message, embedded in the text, through which the late writer appears to be bidding us all good-bye. 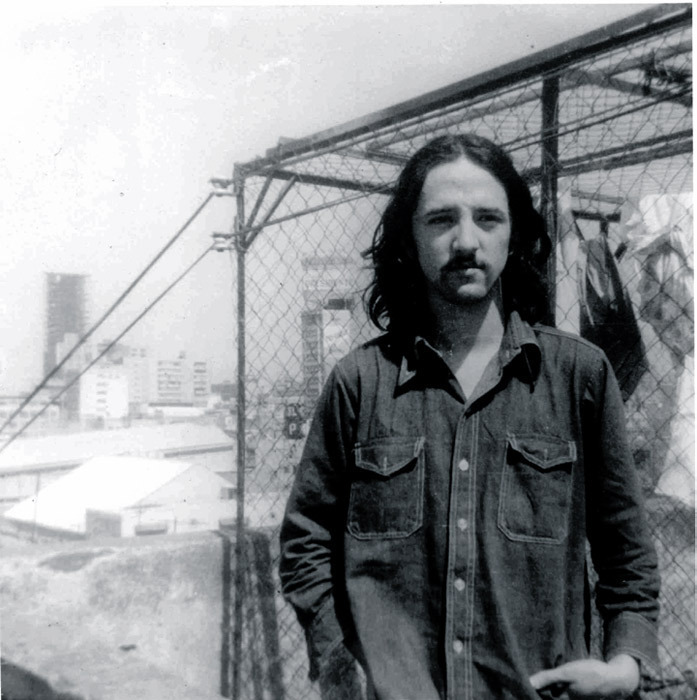 Roberto Bolaño, Mexico, ca. 1975. A poem about the legend of a rabbi in Prague who set about making a clay figure and bringing it to life through language. But due to a misspelling of the sacred name, Borges speculates, the being never gains the ability to speak, and so the rabbi looks upon his golem with tenderness but also shame and regret. He wonders, “Why did I decide to add to the infinite series one more symbol?” “How could I have . . . left off inaction, which is wisdom?” At the same time, Borges asks what God must feel upon seeing his rabbi. Doubt haunts every maker. Made of oak and pinetypes of wood that the Tupi people of Brazil took to be sacred fire-starting materialthis minuscule cube is usually exhibited without ceremony, in big spaces, with nothing else around it. Titled after the smallest constellation (a critical navigational marker for millennia), this 3/8-by-3/8-by-3/8-inch sculpture deals with scale in a powerful way. In this tiny form, the full potential of culture and civilization is containedthe ability to master fire. 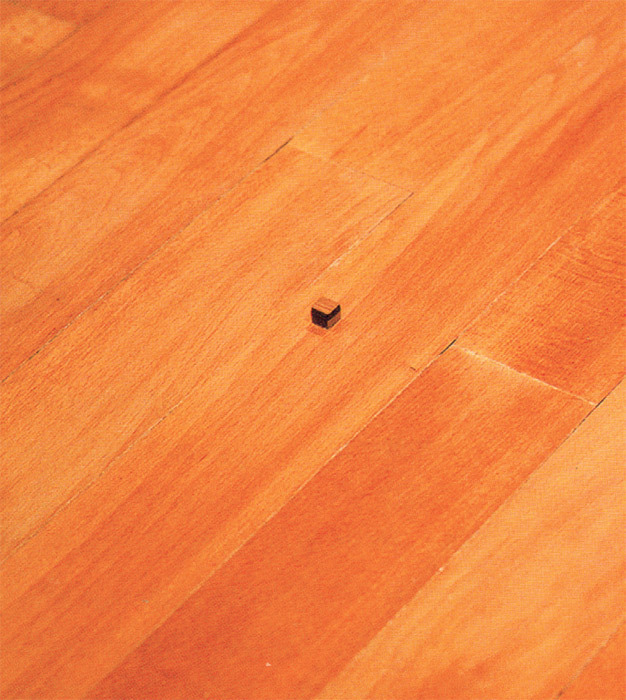 Cildo Meireles, Cruzeiro do Sul (Southern Cross), 1969–70, wooden cube, one section pine, one section oak, 3/8 x 3/8 x 3/8". It’s not easy for museums to implement educational programs that enhance rather than limit visitors’ engagement with what’s on view. But on a recent visit to the British Museum I had a surprising experience: In a quiet corner, I found a woman sitting with a little wooden box. Inside were what might be called bits and bobs, items much less grand than what was being shown in the official exhibitions. I picked up a small square piece of cloth. The woman explained that it had once wrapped an Egyptian mummy, but that through handling over the years it had shrunk significantly. Someone else had touched this object long ago, had created it with their hands, and I was now touching their touch and the many others in between. is an organization formed in 2006 by artists Irene Kopelman and Mariana Castillo Deball (Argentinean and Mexican, respectively). Through its projects, seminars, exhibitions, and publications, Uqbar engenders collaboration between artists, scientists, and thinkers of many other disciplines. The programming stems from a curiosity about the myriad methodologies and instruments utilized in the pursuit of knowledge. 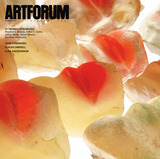 I have a soft spot for artists’ initiatives and am particularly impressed by what these ladies are doing: Operating without a fixed location, they have developed an open platform for vital conversation. Nina is one of those artists whose work makes me want to make art. There is an immediacy to her practice that is at once playful and lucid. Crafting her props out of paper, plastic bags, and whatever’s at hand, she stars in her own self-made videos, wearing amusing outfits or just her own nakedness. But thanks to a keen eye for editing, Nina’s work always manages to fall on the side of sophistication. For a while she had her own TV show. I wish she still did! Clockwise from top left: Nina Yuen, Alison, 2006, still from a color video, 7 minutes 41 seconds. Nina Yuen, Rimbaud, 2007, still from a color video, 2 minutes 33 seconds. Nina Yuen, White Blindness, 2009, still from a color video, 5 minutes 31 seconds. Nina Yuen, Don, 2006, still from a color video, 8 minutes 1 second. A prolific writer, Aira claims that his published writing is never edited (indeed, one can often tell). Though (or perhaps precisely because) this translation by Chris Andrews is well polished, it’s my favorite of Aira’s writings. The story is of a painter (based on the German artist Johann Moritz Rugendas) who, invited by naturalist/explorer Alexander von Humboldt to join an expedition through Latin America, suffers a horrific accident in the Argentinean pampas and finds his particular “holistic” vision of landscape painting radically altered. In true Argentinean mythmaking fashion, the accident involves a lightning storm and a mad horse. Roberto Bolaño pens the preface (see No. 2). Shot in New York and starring Buster Keaton, this short black-and-white (nearly silent) movie is a gem. 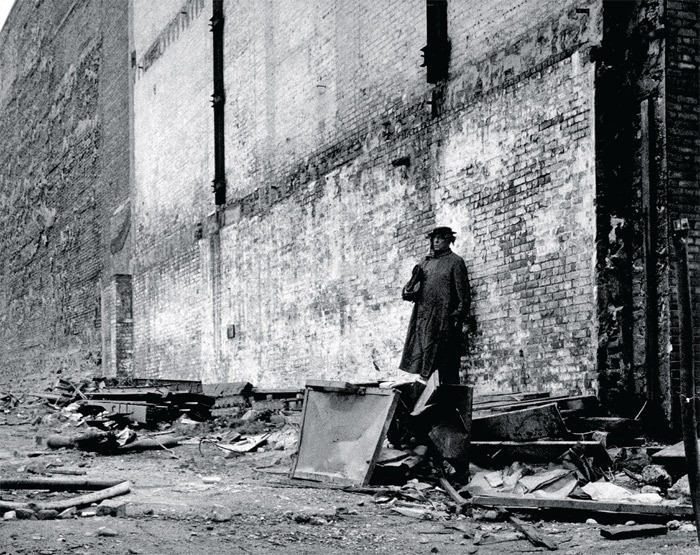 It was the occasion for Beckett’s only visit to New York, and through it we see him see this city for the first time. The narrative is split between two perspectivesthat of the camera, who “plays” E, with a sharp, unfiltered “gaze,” and that of Keaton’s character, O, whose vision appears blurred (his bit having been shot with a gauzed lens). In the film, O becomes inconsolably paranoid and aware of being perceived. My favorite part is when he destroys a printed image (tacked to the wall) of the face of a Sumerian statuette. But left with a sun mark where the picture once hung, O becomes only more tormented by its trace. Alan Schneider and Samuel Beckett, Film, 1965, still from a black- and-white film in 16 mm, 20 minutes. The Man (Buster Keaton).